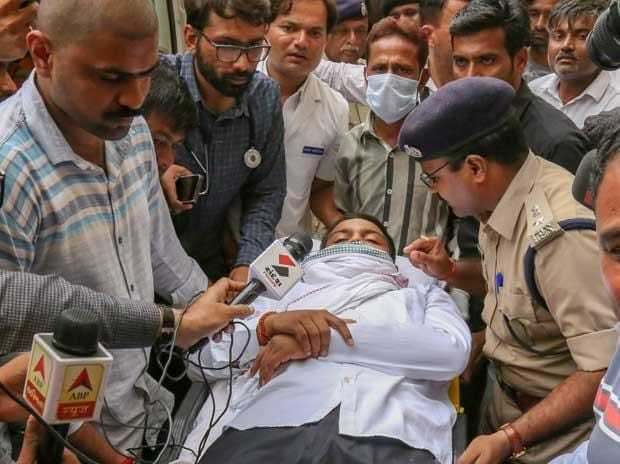 Patidar leader Hardik Patel was Friday shifted to a hospital after his health deteriorated on the 14th day of his indefinite fast here, a Patidar Ananmat Andolan Samiti (PAAS) functionary said. "Hardik's agitation will continue. But, since his health has deteriorated due to the 14-day fast, we requested him to get hospitalised," Panara told reporters at the fast venue near the city. Another PAAS leader, Dharmik Malaviya, said that Hardik's "fight will continue". Hospital authorities said Hardik was in the ICU and a team of doctors was treating him. "Hardik has not taken water since the last 18 hours. I told Hardik that everyone is worried about his health and that he should call off the hunger strike as soon as possible. He told me that he will inform me soon about his decision to call off the fast," said Naresh Patel. During the meeting, Hardik asked Naresh Patel to mediate with the Gujarat government and hold talks on three of the former's demands. "Hardik asked me to be a mediator. As per his wish, representatives of Khodaldham, along with of another Patidar body Umiya Dham Sansthan, will try to talk with the government to break the deadlock. Our priority is to see that Hardik's health does not deteriorate," Naresh Patel said. "If needed, we will pressure the government to accept Hardik's demands. Though the issue of reservation may take longer, we hope that the state government shows a positive attitude towards the two other demands," he said. Hardik went on the indefinite fast on August 25 demanding reservations in government jobs and education for the Patidar community and waiver of farm loans. Later, he added another demand that his close aide Alpesh Kathiria, who was recently arrested in a 2015 sedition case by the city Crime Branch, be released. The government had, in the last 14 days, not made any attempt to negotiate with Hardik, his supporters claimed.